Warehouses are vast and high-volume environments, and it is possible to ignore the fact that they are busy cleaning up warehouses. But this can not be justified, and daily cleaning of the warehouse and cleaning the floor of the warehouse should be prioritized. Dust, material leakage from inappropriate packaging of goods and forklift tires, including contamination in the storage environment and on the ground. We continue to emphasize the importance of cleaning floor surfaces in warehouses and how to make them cleaned by mechanized machinery such as scrubber dryer and floor sweeper. 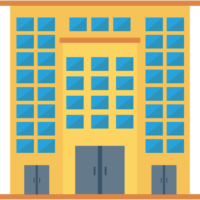 The bulk of raw materials and products produced and processed by factories and industrial centers are stored in warehouses and niches. 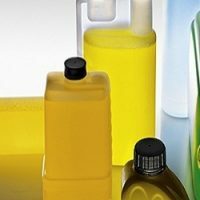 The storage conditions of these products are very important and in many cases the presence of dust and contamination can affect the quality of the product and, especially when it is necessary to store the product in the long term, the effects of environmental pollution will be more evident. 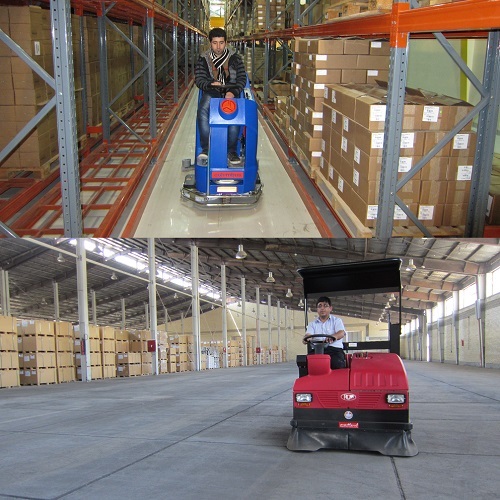 Therefore, the daily cleaning of the warehouse from the ground up to shelves and classifications is a must-have. 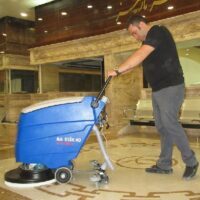 The floor sweeper Superior Machine is a cleaning mechanized machine specially used for cleaning and collecting contamination and landfill. The floor sweeper has a very high level of surface cleaning in the warehouse environment, and professional and professional cleaning of the warehouse is possible on a daily basis. Threats pose a lot of dangers, from oil spills to simple objects such as carton and paper patches to harmful storage environments. 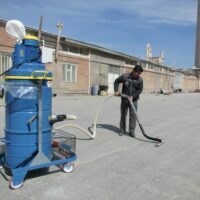 Dust and dry waste are collected by a floor sweeper machine, and flammable materials must be removed from the environment by an explosion-proof sucker or rinsed with industrial ground scrubber dryer. Dangerous pollution is a threat to the health and safety of employees. 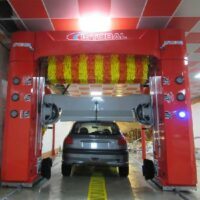 When enough time is spent to wash the ground in the warehouse and the proper equipment is used, it will ensure a clean and accurate environment. Clean environment and surface levels provide clear, clear ambient conditions for employees and human resources. The ground surface is washed with industrial scrubber dryer and high standards for increasing the safety of the work environment. 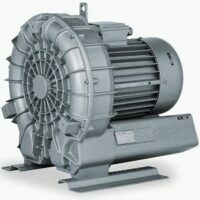 Which one is better and more efficient? 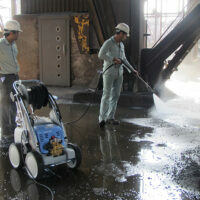 A storekeeper with moving lifts on a dirty and dusty surface? Or a storage room with clean, dusty corridors? The second option is not just one practice statement, but its achievement with the use of scrubber dryer and sanitary cleaners, in addition to maintaining the quality of stored goods, will increase the motivation and productivity of the staff. Imagine sitting at your desk while surrounded by irregularities; in this case, your focus on the desired work is reduced and you feel lame, and by sorting the environment around you, this feeling of turmoil disappears and Your concentration will increase. The environment of the warehouse is similar, that is, contamination and turbulence give the employee unpleasant feelings to the staff and the human resources, and the decorated space increases the focus of the people on their work. The activity of high productivity people has a direct impact on the efficiency of the business. Clean and clean warehouses can talk about the quality of products and the importance of business owners to their customers. Dirty soil surface, especially dust, quickly contaminates the goods in the warehouse, and no doubt, no customers are willing to produce contaminated and dusty products. For this reason, the regular cleaning and cleaning of warehouses by the floor sweeper Industrial and Industrial scrubber dryer is very important and has an important impact on the views of potential customers during the first visit. 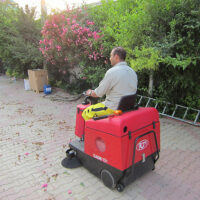 The benefit of specialized cleaning equipment, scrubber dryer and floor sweeper , to the company and customers, proves that you are professional in your work.